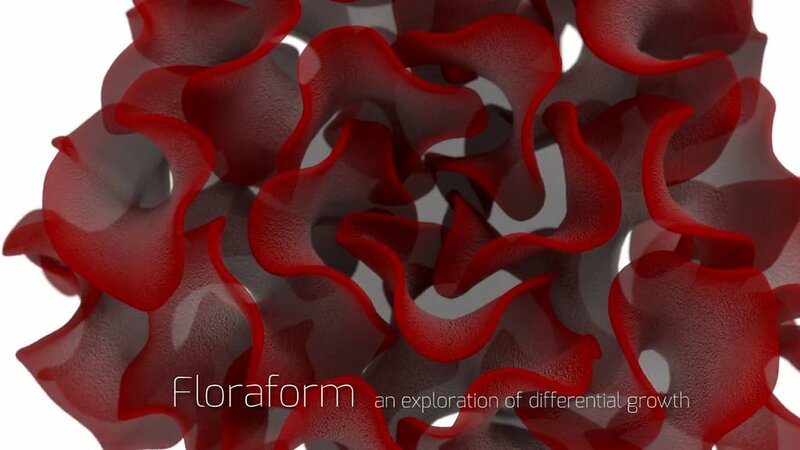 Floraform is a simulation of a differentially growing elastic surface that we created to explore how biological systems create form by varying growth rates through space and time. 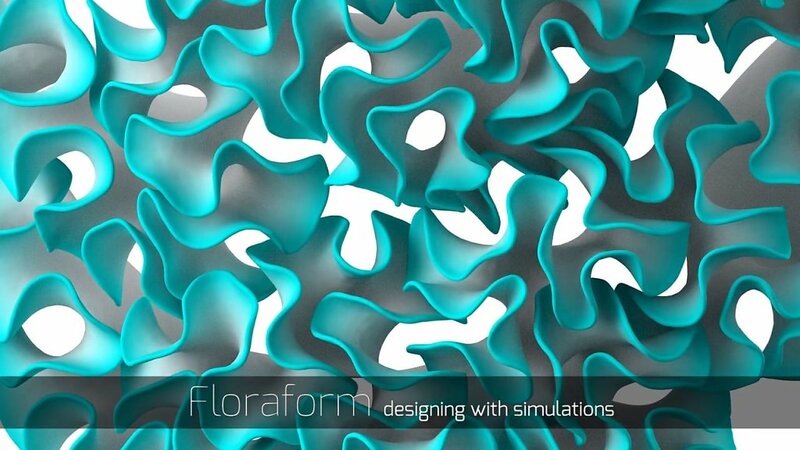 We developed a set of mechanisms that allowed us to control, manipulate, and sculpt the growing process. 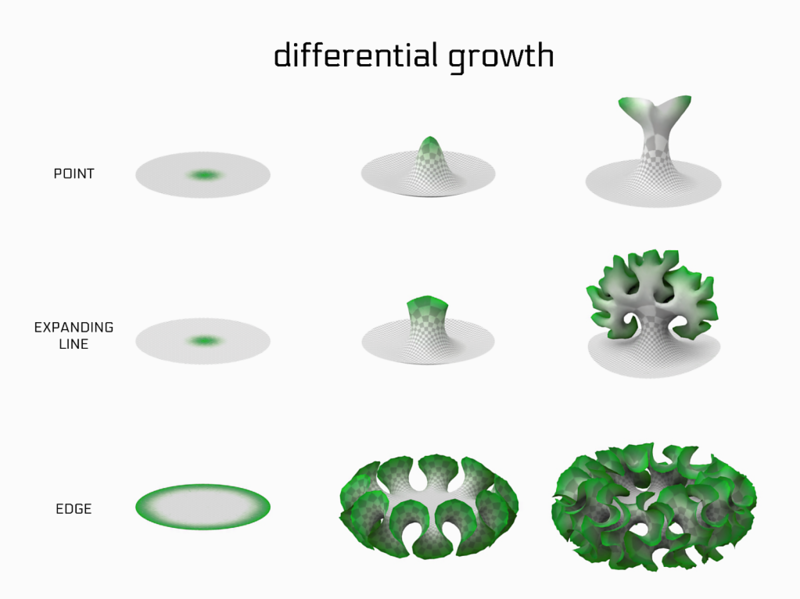 These act as a set of material and environmental conditions that we can vary to produce finely differentiated structures. This video shows examples of some of the variations we introduced into the system.